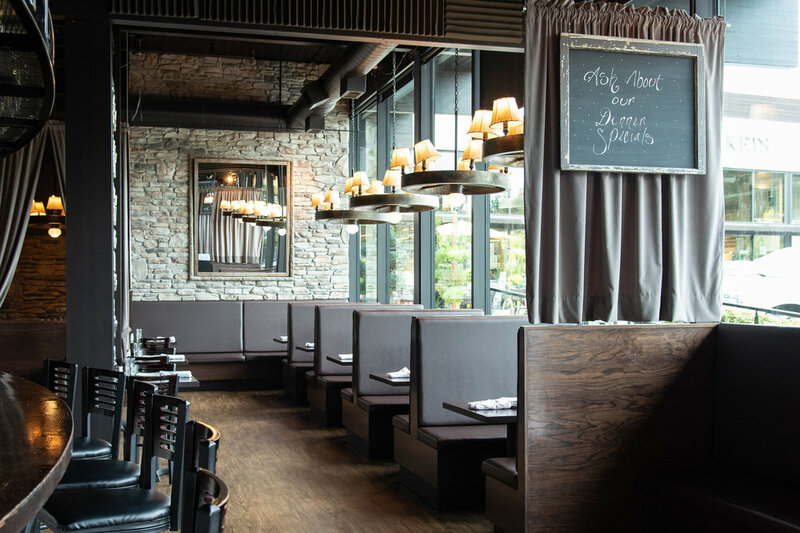 Located in Lake Oswego, Jefe brings you a modern take on Mexican & Spanish traditions. Jefe opened its doors in March 2012 in the neighborhood of Lake Grove in Lake Oswego. Our chef strives to dish a distinct flare on traditional recipes blending indigenous and Spanish influences. With an atmosphere that is warm and inviting, you can't help but to feel welcome and content. We have a large liquor and wine selection, but our Casa Margarita is the fan favorite. TRADITIONAL STYLE, SERVED WITH HOUSE MADE SALSA & FRESH FRIED CORN TORTILLAS. 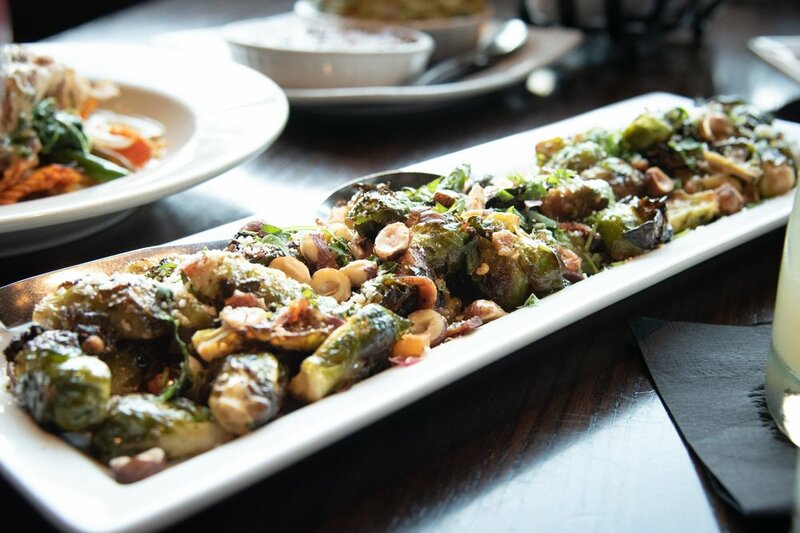 BRUSSEL SPROUTS ROASTED WITH BACON, TOMATOES, ONIONS, AND GARLIC & OLIVE OIL. FINISHED WITH HAZELNUTS, CILANTRO & COTIJA CHEESE. FRESH MARINATED SEAFOOD WITH LIME, TOMATO, CILANTRO & CHILES. SERVED WITH FRESH FRIED CORN TORTILLAS. BLEND OF MELTED MEXICAN CHEESES WITH ROASTED ONION & POBLANO, TOPPED WITH HOUSE MADE BARBACOA OR CHORIZO. HOUSE MADE CORN EMPANADAS STUFFED WITH PORK SHOULDER AND MEXICAN CHEESES. sERVED ON A BED OF WHITE WINE JALAPENO SLAW TOPPED WITH CREMA AND HOUSE SALSA. 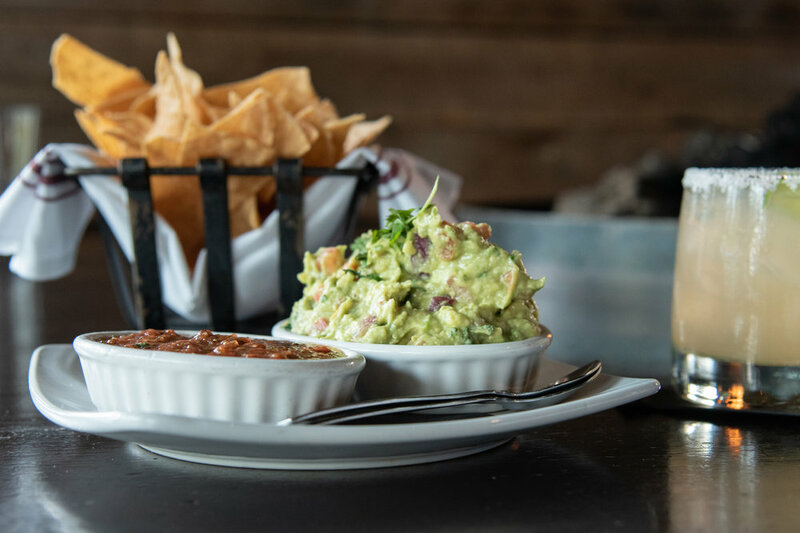 HOUSE FRIED CORN CHIPS PILED HIGH WITH MEXICAN CHEESES, LETTUCE, BLACK BEANS, PICO DE GALLO, SOUR CREAM, COTIJA CHEESE, CILANTRO, FRESH JALAPENOS AND GUACAMOLE. SLICED BEEF WITH A HOUSE MADE CHIMICHURRI SAUCE & FRESH CORN TORTILLAS. QUINOA, SPRING MIX, CORN, BLACK BEANS & PICO DE GALLO TOSSED IN A LEMON GINGER POPPYSEED VINAIGRETTE TOPPED W/ COTIJA CHEESE. HEARTS OF ROMAINE, CROUTONS, MANCHEGO CHEESE & CAESAR DRESSING. GRILLED TOMATO, MELTED MOZZARELLA, AVOCADO, CILANTRO PESTO & DRESSED SPINACH. FRESH SPINACH WITH ROASTED BEETS & ONIONS, ROASTED HAZELNUTS, TOSSED IN HONEY-CHIPOTLE DRESSING. FINISHED WITH MANCHEGO CHEESE. GRILLED CHICKEN, PICO DE GALLO, SWEET CORN, POBLANOS, PEPITAS, AVOCADO, MEXICAN CHEESE BLEND, BLACK BEANS, SHREDDED ROMAINE & CABBAGE TOSSED IN AN CUCUMBER-CUMIN VINAIGRETTE. GRILLED CHICKEN, BROWN RICE, BLACK BEANS. SAUTEED ONIONS & DICED TOMATO. SERVED WITH A SIDE OF SALSA ROJA. QUINOA, BLACK BEANS, PICO DE GALLO, SPRING MIX, MUSHROOM, POTATO, CARROT & ONIONS. WITH A SIDE OF LEMON GINGER POPPYSEED VINAIGRETTE. BRAISED PORK, CILANTRO-LIME RICE, PINTO BEANS, PICO DE GALLO. SERVED WITH A SIDE OF SALSA VERDE. GRILLED COD, PINTO BEANS, CILANTRO-LIME RICE, GRILLED TOMATO, ONION & LETTUCE TOPPED WITH A LEMON GINGER POPPYSEED VINAIGRETTE. SLOW ROASTED RED CHILI BEEF, MEXICAN RICE, WHITE BEANS, JALAPENO, ONION & CABBAGE, TOPPED WITH CREMA. SERVED WITH ARBOL SALSA. SIMMERED IN A SPICY TOMATO BROTH, TOPPED WITH CABBAGE & SALSA ROJA. BRAISED IN A TOMATILLO SAUCE, TOPPED WITH TANGY CABBAGE & SALSA VERDE. MUSHROOM, POTATO, CARROT, ONIONS, SPINACH, AVOCADO, CABBAGE & SALSA VERDE. GRILLED BEEF TOPPED WITH CHOPPED ONION, SLICED RADISH, CREMA & ARBOL SALSA. SLOW ROASTED RED CHILI BEEF, TOPPED WITH ONION, SLICED RADISH & ARBOL SALSA. Breaded RAZOR CLAMS, AVOCADO, CABBAGE, CHIPOTLE AIOLI, PICKLED ONIONS & ARBOL SALSA. BATTERED OR GRILLED COD, CABBAGE, RADISH, CHIPOTLE AIOLI, & MANGO SALSA. FRESH GRILLED CHIPOTLE SHRIMP, CREMA & MANGO SALSA. WILD CAUGHT MAHI MAHI SERVED OVER TOMATILLO RICE AND ROASTED CORN PUREE TOPPED WITH PICO DE GALLO. PAN FRIED RAZOR CLAMS SERVED WITH A CREAMY-POBLANO RICE, VEGETABLE MEDLEY & FINISHED WITH A SPICY HABANERO CREAM SAUCE. WILD GULF SHRIMP SAUTEED WITH CAVATAPPI PASTA IN A CREAMY CHEESE SAUCE TOPPED WITH COTIJA CHEESE, TOASTED BREADCRUMBS AND PICO DE GALLO. TERES MAJOR STEAK TOPPED WITH A CHIPOTLE BALSAMIC MUSHROOM DEMI-GLACE SERVED ALONGSIDE BUTTERNUT MASH AND ROASTED BRUSSEL SPROUTS. A ROASTED POBLANO PEPPER STUFFED WITH SLOW ROASTED PORK SHOULDER, CABBAGE, HABANERO SALSA & MEXICAN CHEESES. FINISHED WITH RANCHERO SAUCE. FRESH MADE CORN TORTILLAS SOAKED IN A HOUSE RANCHERO SAUCE & FILLED WITH MEXICAN CHEESES & CHOICE OF CHICKEN, PORK OR BARBACOA. FRESH MADE CORN TORTILLAS SOAKED IN A HOUSE MOLE SAUCE, FILLED WITH MEXICAN CHEESES & GRILLED CARNE ASADA. GREEN CHILI CHICKEN OR RED CHILI PORK TAMALES SERVED WITH A SPICY ROASTED MOLE SAUCE. SLOW ROASTED PORK SHOULDER WITH A MUSTARD-CHILE RUB. SERVED WITH BRAISED CABBAGE & SPAGHETTI SQUASH IN A HABANERO CREAM SAUCE. CHIPOTLE RUBBED CHICKEN BREAST, POBLANO CREAM SAUCE, CILANTRO & JALAPENOS SERVED OVER BRAISED GREENS & A VEGETABLE MEDLEY. WILD PRAWNS SAUTEED WITH BRUSSELS SPROUTS IN YOUR CHOICE OF SPICY HABANERO OR MILD POBLANO CREAM. SERVED OVER ROASTED SPAGHETTI SQUASH, TOPPED WITH PICO DE GALLO. HOUSE TORTILLAS, BLACK BEANS, FRIED EGGS, RANCHERO SAUCE & ARBOL SALSA. HOUSE TORTILLAS, BLACK BEANS, FRIED EGGS, HOUSE BARBACOA BEEF, RANCHERO SAUCE & ARBOL SALSA. TWO FRIED EGGS OVER GREEN CHILI CHICKEN TAMALES. FINISHED WITH SALSA VERDE. LOCAL CHUCK, BRISKET & SHORT RIB BLEND, TOPPED WITH JACK CHEESE, HOUSE PICKLES, TOMATO-BACON-ONION JAM & AIOLI. SLOW ROASTED PORK SHOULDER, CARNITAS, HOUSE PICKLES, MEXICAN CHEESE BLEND & DIJON MUSTARD. Lunazul Reposado Tequila, Orange Curacao, fresh lime, simple syrup. El Jimador Reposado Tequila, Cointreau, fresh lime, simple syrup, egg white. House infused Arbol Tequila, fresh lime, agave nectar with a spicy sugar rim. George Dickel Rye, Licor 43, lime juice, orange & angostura bitters, simple syrup with flaming chartreuse zest. Red wine, Cruzan rum, Orange Curacao, fresh orange juice, sugar, Angostura bitters. E&J Brandy, Grand Marnier, Peche de Vigne, fresh lime juice, fresh squeezed orange juice, simple syrup, topped with white wine. Clear Creek pear brandy & cranberry liqueur, Combier D'orange, fresh lime juice and simple syrup served up in a martini glass. Vodka and house made ginger beer. Poblano-infused Vodka, Licor 43, grilled pineapple juice, fresh lime juice. Hornitos anejo tequila and house made lemon-honey-ginger simple syrup shaken and served on a large rock in a mezcal rinsed glass. George Dickel rye whiskey, allspice dram, frsh lemon juice and OJ shaken with chai simple syrup served on a large rock topped with Hand Craft petit syrah. Can be served warm. Call us @ (503) 635–1900 to book your reservation. We only take reservations for parties of 4 or more.